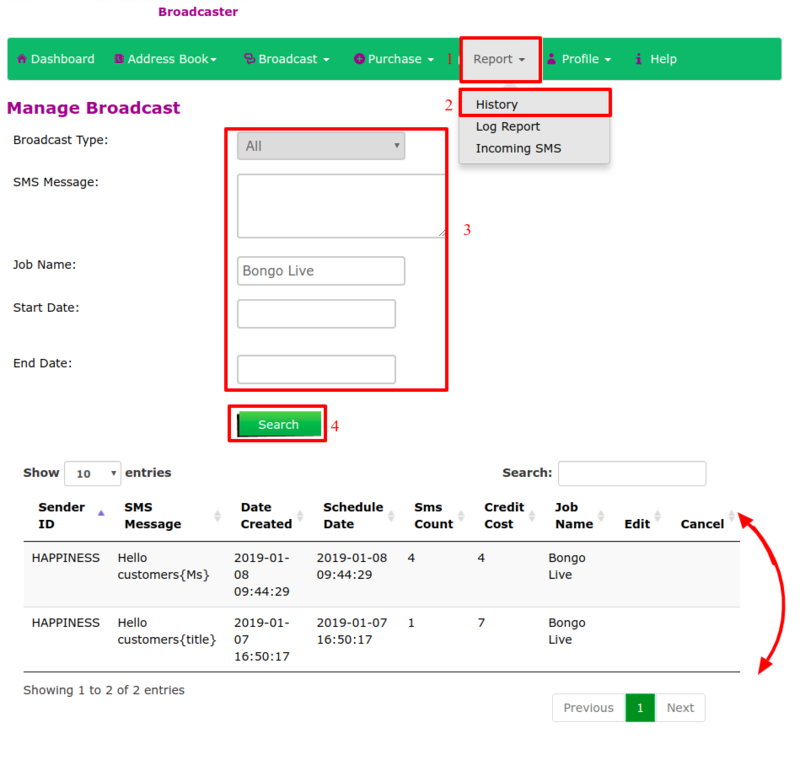 Choose “History” from the drop down menu to view your broadcast history as shown above. Then click the “Search” button. then you will be able to view your history as shown below.